Many people don’t real­ise the bene­fits they can gain from the use of Japanese acu­punc­ture for colds and flu. In this video I dis­cuss the role that Japanese acu­punc­ture can play both in the pre­ven­tion of colds and flu and also in the res­ol­u­tion of the dele­ter­i­ous symp­toms that are exper­i­enced by people suf­fer­ing from these con­di­tions. 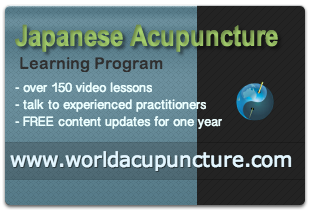 The full tran­script of this video is avail­able on our Gold Coast Acupuncture site.